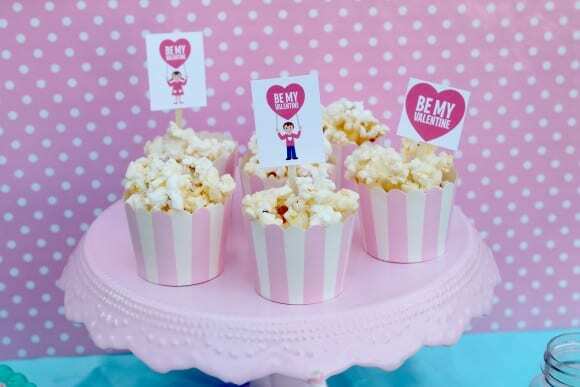 Today we are sharing 4 budget Valentine's Day party tips from Laura Aguirre from Laura's Little Party! 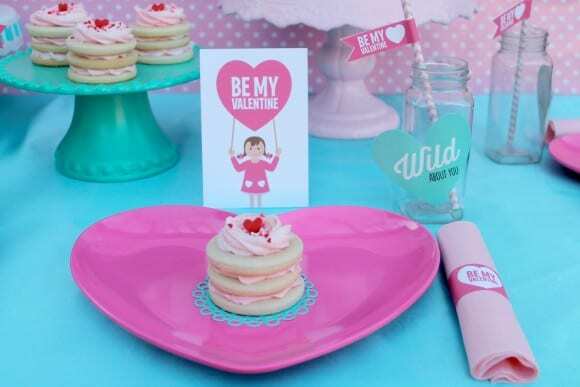 Love is in the air, and the stores are filling up with festive Valentine treats & decorations. This year I planned a simple, kid-friendly Valentine's Day party complete with free printables, yummy treats, and no-fuss table decor. I was able to put this together in no time and look how cute! Tip 1: Make your plates, and cups low maintenance. I like using plastic plates & cups, or even paper ones, whenever possible. Not only does it help with spilling accidents, but they’re easier for the kids to handle, and a snap for clean up. 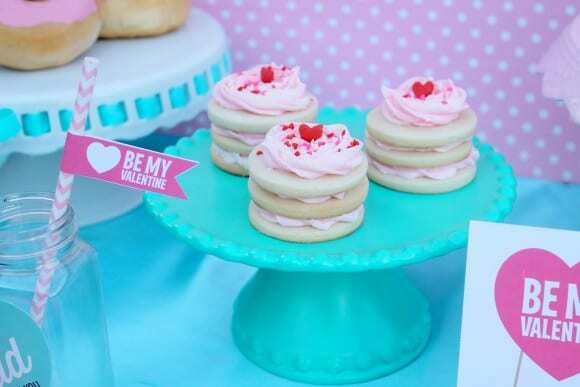 A great place to find inexpensive party supplies is at the Dollar Store or Target, and after a holidays, when everything is on sale is the best time to stock up. Tip 2: Snacks should be easy for little fingers to grab. 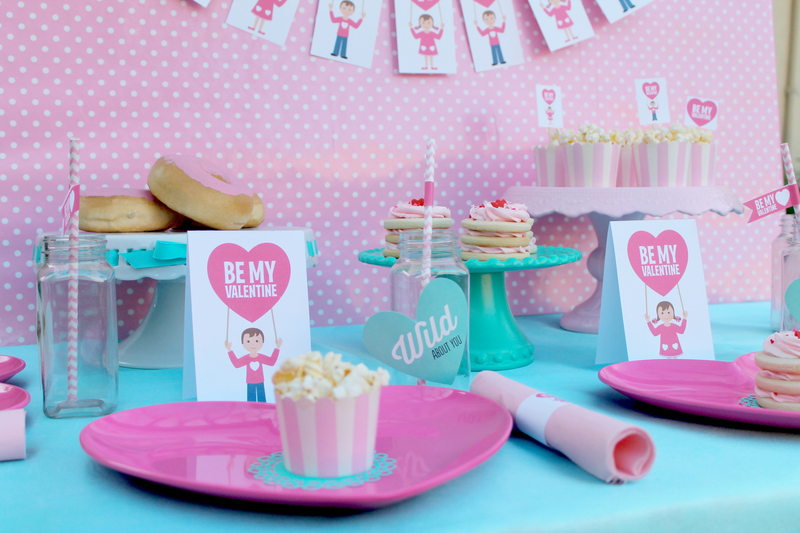 Popcorn, mini cookie cakes, and donuts were my treats of choice. What kid doesn't love them? And I can buy everything premade. Tip 3: Make your party POP with free Valentine's Day printables! You can find all sorts of free printables on Catch My Party to coordinate with every party theme. A banner, straw flags, toppers, signs, and napkin rings can help transform any party table into festive one. Take a look how I used them. Tip 4: Table decor can be as simple as you’d like it to be. 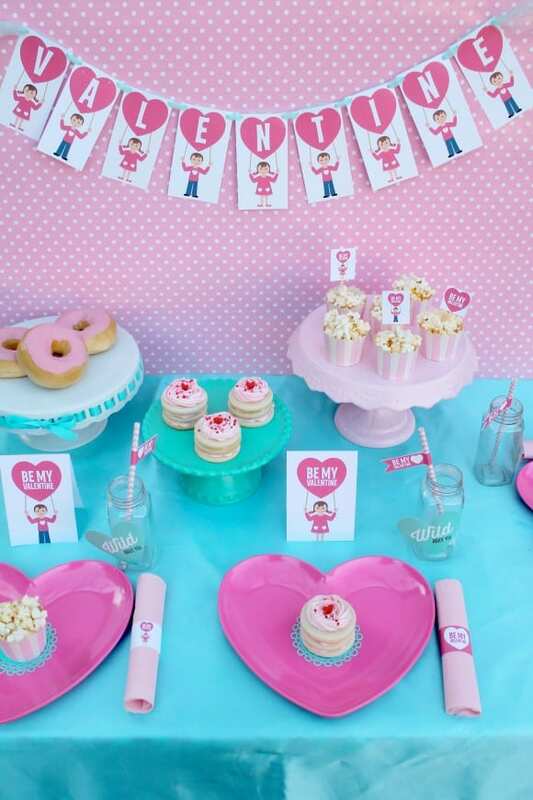 I added 3 different cake stands that I pulled out of my cupboard, and a pretty pink polka dot backdrop made from two foam boards and wrapping paper. 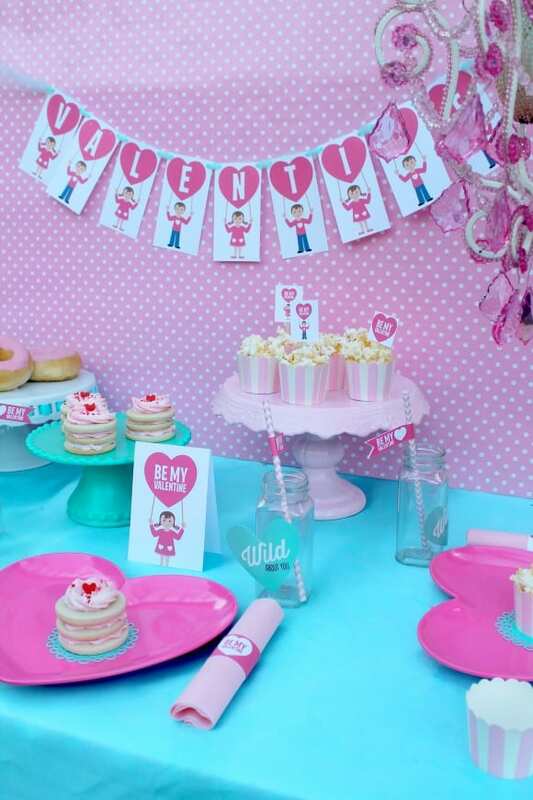 Your decor doesn't have to elaborate, just add some pink colors and you're ready to go! 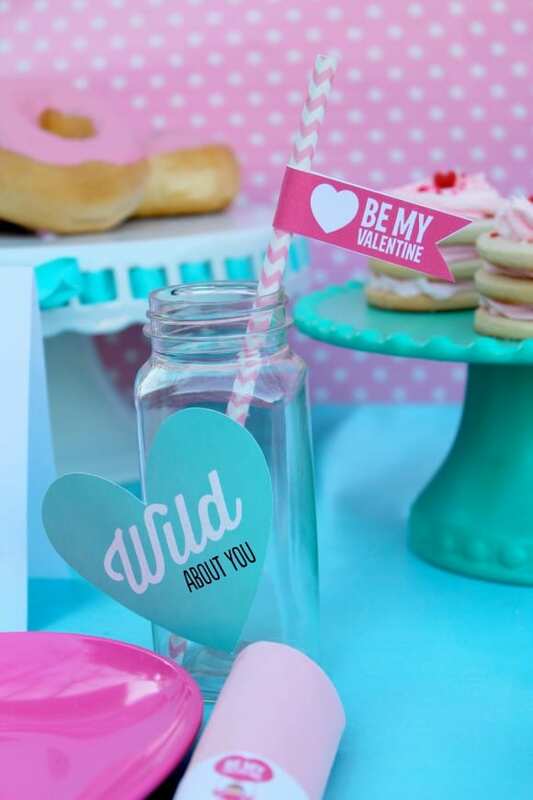 I hope these simple tips will help make your Valentine’s party a memorable one!